The Aerion Spike S-152 supersonic business jet company blog describes one of the cabin features, a "thin display screen" that's embedded in the wall. Cameras mounted around the jet's exterior will power a panoramic view, which can also be swapped for other images or content that's more conductive to sleep, such as a solid dark color or a starry night scene. Removing the windows helps Spike trim the plane's weight while also reducing drag, enabling faster speeds and boosted fuel efficiency. First flight is scheduled to take place in 2018. 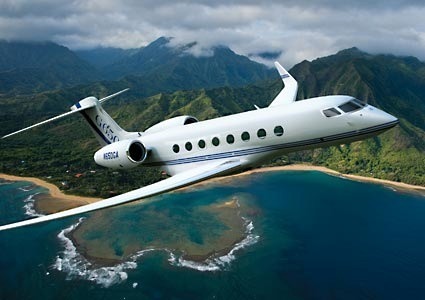 Gulfstream Aerospace Corp. announced today that its ultra-long-range, ultra-large-cabin Gulfstream G650 recently reached Mach 0.995 as part of its 1,800-hour flight-test program. The aircraft achieved this speed during flutter testing, which evaluates the aircraft’s damping responses following an input from an external test device. Flutter testing is performed at a variety of frequencies, speeds, altitudes, weights and centers of gravity. For the initial series of flutter tests, the aircraft achieved clearance out to both its design dive speed (Vd) and design Mach dive speed (Md) at altitudes ranging from 10,000 feet to up to the aircraft’s maximum certified altitude of 51,000 feet. 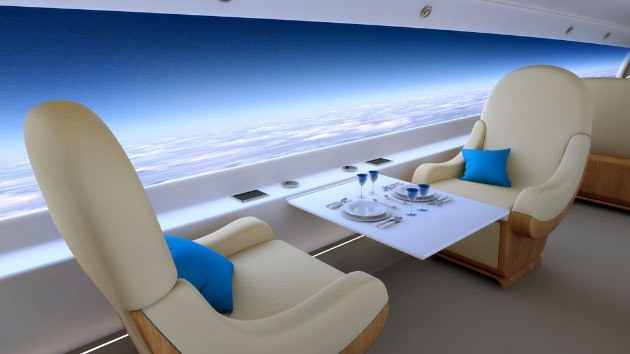 Aerion Corporation is nearing a decision on an aerospace manufacturing partner to lead the development and production of its pioneering supersonic business jet design. is planned so that the Aerion SSBJ could be flying in 2013 and certified by late 2015. The $80 million Aerion supersonic jet relies on a concept known as supersonic natural laminar flow to reduce airframe drag, thereby reducing engine power requirements and fuel consumption. The patented concept was developed by Dr. Richard Tracy, Aerion’s chief technology officer, and demonstrated in NASA flight tests and in transonic wind tunnel testing. Gulfstream continues to perform research on a variety of advanced topics, including technologies required to build a supersonic business jet. For its subsonic line, the focus areas include synthetic and enhanced vision, advanced cabin systems, aircraft health and trend monitoring and advanced flight controls, including fly-by-light and fly-by-wireless. For its supersonic efforts, sonic boom mitigation methods are among the highest priorities, says Lombardo. However, Gulfstream has saidunequivocally that it will not launch a supersonic business jet programme until there is consensus among aviation authorities globally as to what would be acceptable noise and pressure levels for over-land supersonic flight, a practice prohibited in the USA by Federal Aviation Administration rules. The company says it has received queries from other manufacturers possibly interested in licensing the company's patented "quiet spike" technology thatdampens supersonic noise by extending a spike from the aircraft's nose during cruise.